In 1976 in Thailand, Chaleo Yoovidhya introduced a drink called Krating Daeng whose main ingredient is taurine. Austrian Dietrich Mateschitz visited Thailand in 1982 and noticed that the drink cured his jet lag. In 1984, Mateschitz co-founded Red Bull GmbH with Yoovidhya, modifying the ingredients to suit Western tastes, and launched it in Austria in 1987. Red Bull is the highest selling energy drink in the world. Walking through the streets of Prague, you will come across the Astronomical Clock. Each hour, the wooden figures of apostles appear in the windows and some of the sculptures move. When the apostles finish their story, the golden rooster crows and shakes its wings, the bell rings and the clock chimes the hour. 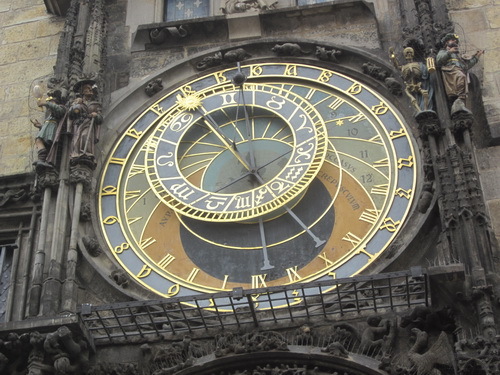 An urban myth which went on for centuries was that when the Prague Councillors found out that the 15th century clock maker Hanus (Jan of Ruze) was going to make another clock, they became jealous and blinded him. However in 1961, the real artist was discovered in an old document which described the astronomical dial and says it was made by Mikulas of Kadan in 1410. 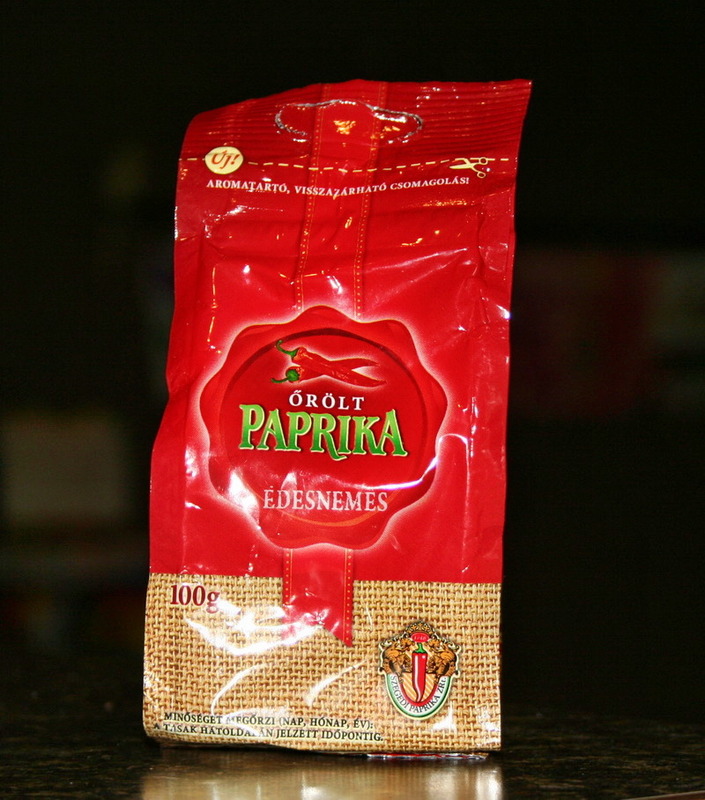 In Hungary, paprika cream is a condiment on the table – they use it like we would use ketchup or mustard. It’s quite spicy. Locals like to call it Hungarian Viagra. Why? If you eat it, the heartburn will keep you up. Since you can’t sleep, you have to do something to keep busy, soooo…. On the Cosmos Tour to Prague, Vienna and Budapest, the first optional excursion was a typical Slavic evening in the well-known U Marčanů restaurant, and included folk music with Bohemian, Moravian and Slovakian singing and dancing, plus gypsy music and dancing. The performers were fabulous at getting the audience involved, and great fun ensued. A musical instrument called a cimbalon was played; it’s a large, trapezoidal box with metal strings stretched across, and is played by striking two hammers against the strings. The 3-course meal accompanied by unlimited drinks (wine/ beer/soft drinks) started with my favorite food of the whole trip – halushka , little dumpling bits topped with cheese and fried bacon (probably called bryndza) which is one of the the Slovak national dishes. Now we know why. 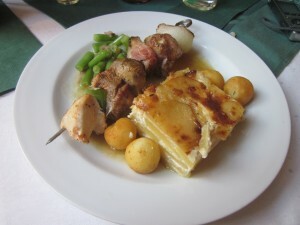 The main course was pork on a skewer with delicate Lyonnaise potatoes, green beans and roasted potatoes. Everyone ate and laughed and enjoyed the evening. 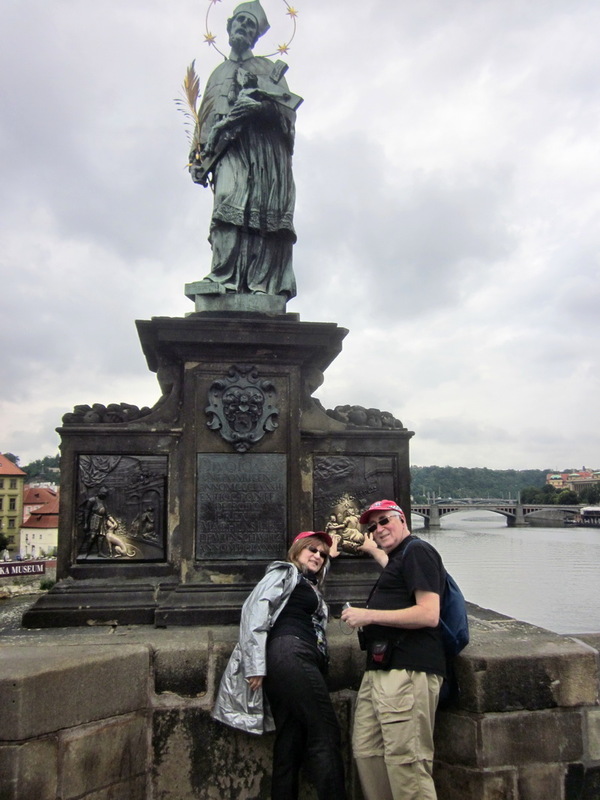 The Charles Bridge over the river Vltava is the oldest bridge in the city, built between the 14th and 15th century and lined with statues and lamps and with Gothic towers on both ends. The bronze statue of St. John of Nepomuk is the oldest (and most famous) one, created in 1683. St. John was a parson who refused to betray a secret confided to him by Queen Sophia when asked by King Wenceslas IV. In 1393, he was tortured on the king´s demand and then thrown into the river from the Charles Bridge. After his death, supposedly five stars appeared above the river. There is a brassy cross with five stars at the place on the parapet, where he was thrown to the river. If you place your hand on the cross, so that each finger will touch one star, you can wish for something and it will be fulfilled. People also touch the relief on the statue for luck. The former Jewish Ghetto (now called Josefov) in Prague goes back to the 12th century. In fact, the oldest synagogue in Europe, the Old-New Synagogue, is still there and it is still used for its purpose, as there are regular services. An old legend says it was built of stones from the Second Temple in Jerusalem. This quarter was demolished in 1897. Today, there are 6 synagogues, the Jewish City Hall and the Old Jewish Cemetery from the 15th century. Notice the Rabbi’s house has gold decorations and the clock with hebrew letters which dates to 1674. In 1389 the biggest anti-Jewish pogrom in the Middle Ages took place here, when about 3,000 citizens of the Jewish Quarter were killed, turning the walls of the Old–New Synagogue dark with blood. Their homes were plundered and burned. However, in the 16th century, this quarter was thriving. Some of the synagogues we can still see were built then. 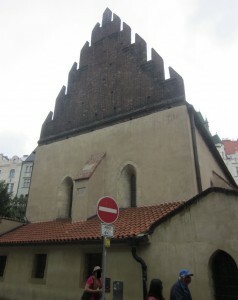 The Maisel Synagogue houses an exhibition of the Jewish Museum in Prague. In the 1950’s, the Pinkas Synagogue became a Memorial to victims of the Holocaust. The walls of the nave, gallery and vestibule were covered with names of about 80,000 Bohemian and Moravian Jews. You can also see drawings of Jewish children made in the Terezin concentration camp between 1942 and 1944. There were more than 10,000 children under the age of 15 there. In 1577, the High Synagogue was built as a part of the Jewish City Hall, and the original vault with some Gothic features and stucco decoration still can be seen. 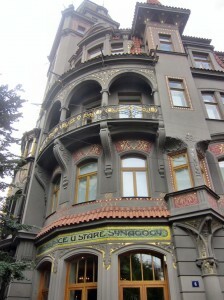 Nowadays, Paris St. in this area is one of the most popular places to live in Prague. If you get hungry, you can eat at the King Solomon kosher restaurant. Michelle Obama ate there when she was in town. If you study in Czech in the Czech Republic, there are no tuition fees at public higher education institutions. If you learn in another language, fees vary depending on the language of instruction or the courses. Prague is the only capital city which has 90 km of underground tunnels (called kolektory) in a huge network including gas and steam pipes, water mains, to a pneumatic postal service, high and low voltage cables, telecommunications cables and also special networks connecting individual companies. Some are 30-40 meters underground, and a special train runs on five-km routes transporting pipes, metal parts and other components here and there. In Prague we learned about Wenceslas I, or Svatý Václav in Czech, who was the duke of Bohemia from 921 until his assassination in 935, purportedly in a plot by his own brother, Boleslav the Cruel. 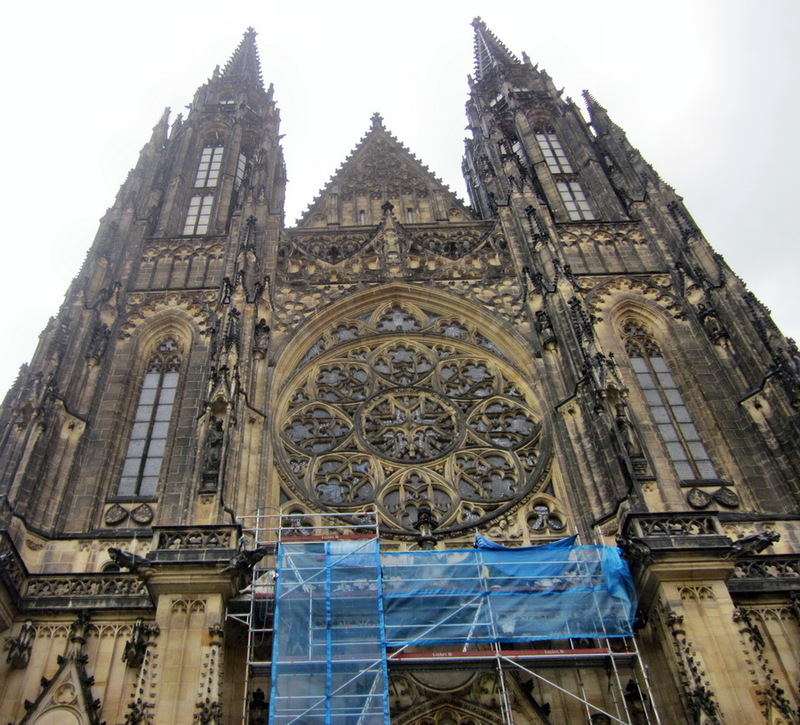 In the optional excursion of Medieval Prague, you get to see the Gothic St. Vitus Cathedral, the biggest and most important church in the Czech Republic. 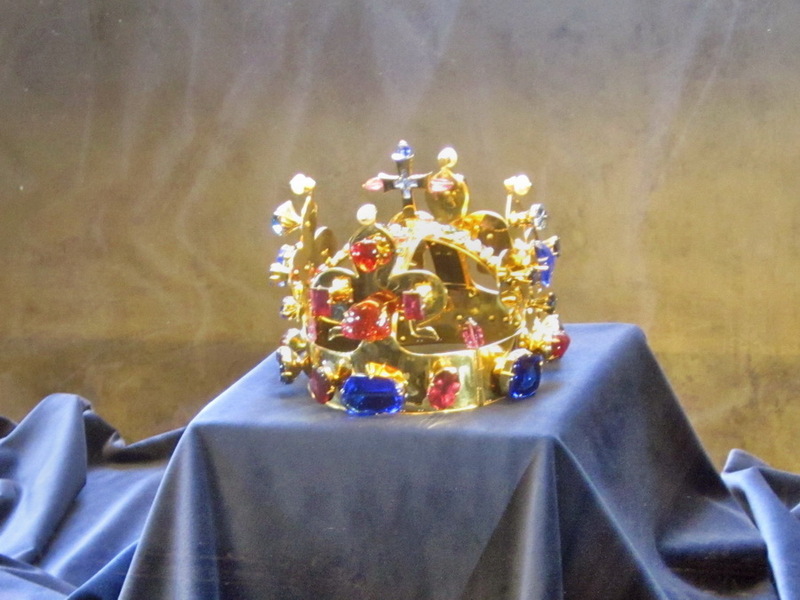 It’s located in Prague Castle and contains the tombs of many Bohemian kings and Holy Roman Emperors as well as the St. Wenceslas Chapel. Due to the popularity of some books which elevated Wenceslas I to a place of heroic goodness and resulted in his being elevated to sainthood, was posthumously declared king, and then became the patron saint of the Czech state. He is that one and only “Good King Wenceslas” of the popular song which is a Saint Stephen’s Day carol written in 1853. over 900 years after he lived. His death in September 935 (or perhaps 929) was committed by a group of nobles allied with Wenceslas’ younger brother Boleslav. Boleslav invited Wenceslas to a feast, they quarreled, and 3 of his buddies murdered Wenceslas on his way to church. Boleslav thus succeeded him as the Duke of Bohemia. Since 2000, the feast day of Saint Wenceslas (September 28) is a public holiday in the Czech Republic, celebrated as Czech Statehood Day. On the Cosmos optional excursion, one is wowed by the grandeur of the St. Wenceslas Chapel in St. Vitus Cathedral where his relics are kept. The room, built between 1344 and 1364, has walls encrusted with over 1,300 semi-precious stones and paintings about the Passion of Christ. The upper part of the walls have paintings about the life of St Wenceslas, and in the middle is a Gothic statue of him. 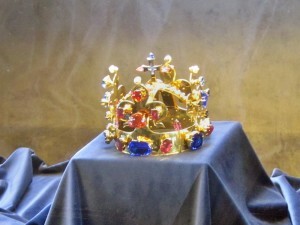 There is a small door with seven locks in the chapel, which leads to the Crown Chamber containing the Czech Crown Jewels, which are displayed to the public only once every (circa) eight years. Seven different people have seven keys. The Cosmos Tour through Prague, Vienna and Budapest criss-crosses the Danube River. The river flows from the Black Forest to the Black Sea for 2,872 km, and passes through or touches the borders of 10 countries: Romania, Hungary, Serbia, Austria, Germany, Bulgaria, Slovakia, Croatia, Ukraine, and Moldova. You are currently browsing the archives for the Cosmos Prague Vienna Budapest category. 60 mySQL queries executed in 0.446 seconds.